The slayings of three Muslim students in the North Carolina university town of Chapel Hill which sparked outrage amongst Muslims worldwide. 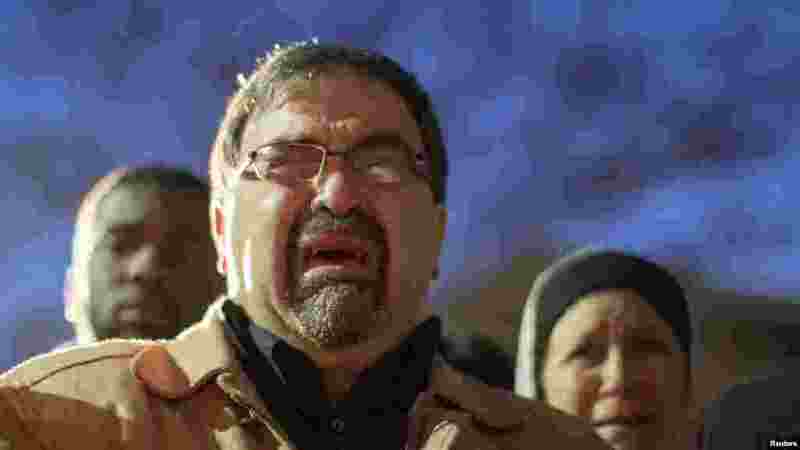 1 Namee Barakat, father of shooting victim Deah Shaddy Barakat, cries as a video is played during a vigil on the campus of the University of North Carolina in Chapel Hill, N.C., Feb. 11, 2015. 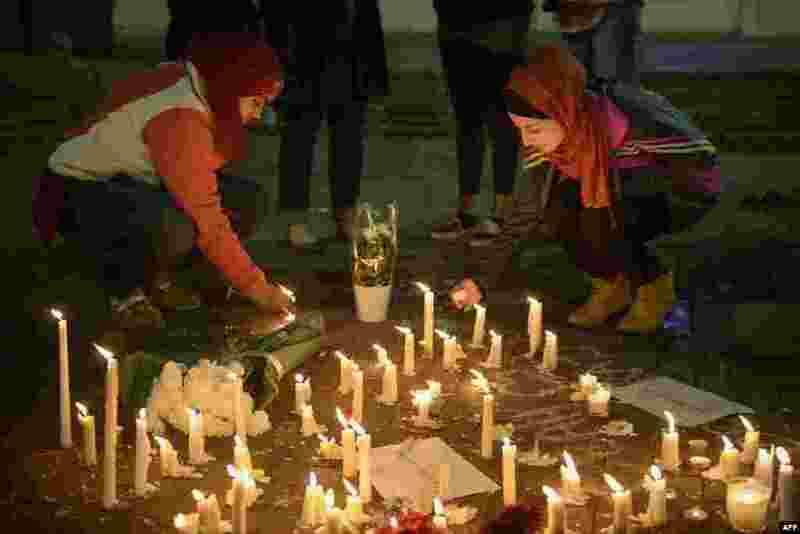 2 People stand by as a makeshift memorial is made after vigil at the University of North Carolina following the murders of three Muslim students, in Chapel Hill, North Carolina, Feb. 11, 2015. 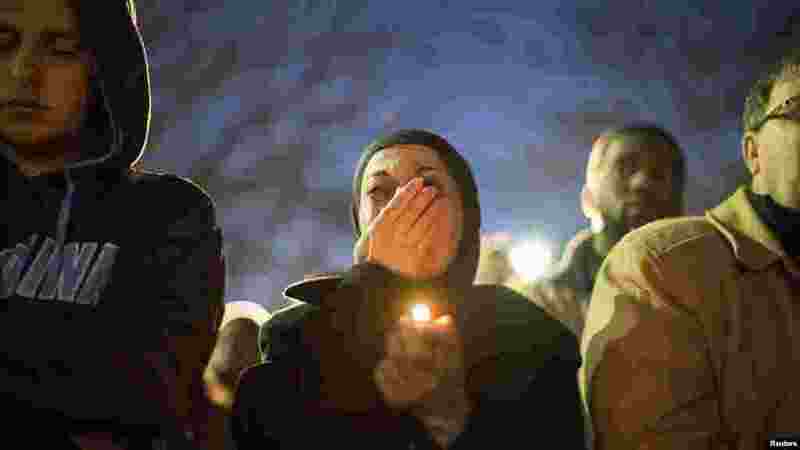 3 A woman cries as a video is played during a vigil on the campus of the University of North Carolina for three young Muslims slain in Chapel Hill, N.C., Feb. 11, 2015. 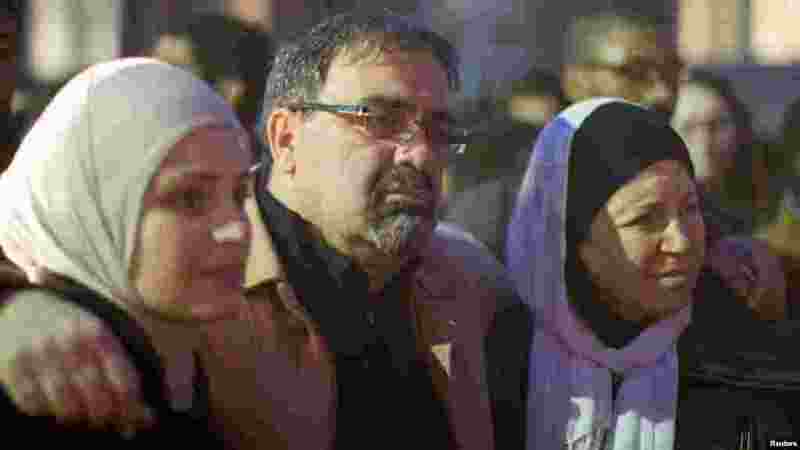 4 Namee Barakat with his wife, Layla, right, and daughter Suzanne, family of shooting victim Deah Shaddy Barakat, attend a vigil on the campus of the University of North Carolina in Chapel Hill, N.C., Feb. 11, 2015.